Rohan Gunatillake, creator of the bestselling app buddhify, reveals how we can approach the Christmas season to make it feel less stressful, calm, balanced and full of joy. As well as being the most wonderful time of the year, Christmas can also be one of the most stressful. Our brains have what is called a negative bias. This means that if a situation has a good aspect and a bad aspect we are more likely to give priority to the bad. This bias very much comes to the fore at Christmas time. A key aspect of mindfulness is its ability to help change habits so while the negative bias definitely is a thing, it need not be the only way we meet the world. Let’s start with shopping. Whether it’s doing a big supermarket shop or braving the streets to find that special something for that special someone, there is so much that we have to contend with. This technique is all about stripping back the layers of the shopping experience and focusing on the generosity that lies behind it all. However hard buying your gift might be, at its heart is the intention to give something lovely to someone you care for. So whenever the mind gets caught up in the story of how hard it is, try remembering your original intention and the kindness you are expressing to the person you are buying for. You can even extend this practice to everyone bustling around you. The opportunity is to transform your perception of them from sources of annoyance and frustration to points of generosity. They, too, are just doing what we are, based on their intention of generosity. Imagine the person they are buying for, even if that means making up a story. Sometimes we have to be a bit creative to drop out of our own personal dramas and connect with others but if you can do so, shopping becomes an absolute joyfest. Or you can just do all your shopping online. Being in the kitchen and in charge of making Christmas lunch can be a stressful job. But from a mindfulness perspective, one of the great aspects of cooking is how much it engages all of the senses. If our mind is getting filled up with worries and anxious thoughts about what we have to do, a good option is to drop our attention into the body and the physical senses. This will help develop a greater sense of calm and composure which can be reinforced more by paying attention to your breath and deliberately taking longer breaths as a way to calm the body, which in turn will calm the mind. You may, however, reach a point where it does all get a bit too much – this is the time when the absolute best thing to do is ask for someone to help you. If you are someone who has a long history of being the one to make the Christmas meal, it can be something that you identify with very strongly. This is great when things go well but when there are problems, if you define yourself through the making of the meal then you take the problems personally, and if something fails then you may feel that you have failed. This is a thought pattern that can be softened by letting go a bit and allowing others to bear some of the weight. A family Christmas wouldn’t be complete without mince pies and the Queen’s speech and a good old-fashioned argument with someone we love. One of the best ways of avoiding things escalating into arguments is to put more effort into listening well. So much of so-called conversation between two people is actually two monologues rather than actual dialogue, one person waiting until the other person stops talking so that they can say what they want to say. This is where mindful listening comes into play and it involves balancing three types of hearing. The first is hearing the words the other person is saying. The second is being aware of how they are saying them, most importantly how their body is. Is it closed or open? Does anything look tight or do they appear relaxed? The final component is listening to ourselves, noticing how the mind reacts and wants to get involved. Being present with another human being as they are speaking is one of the most generous things we can do for another, and learning how to do it well can not only diffuse any arguments before they arise but also turn our time with others into a time of real connection. 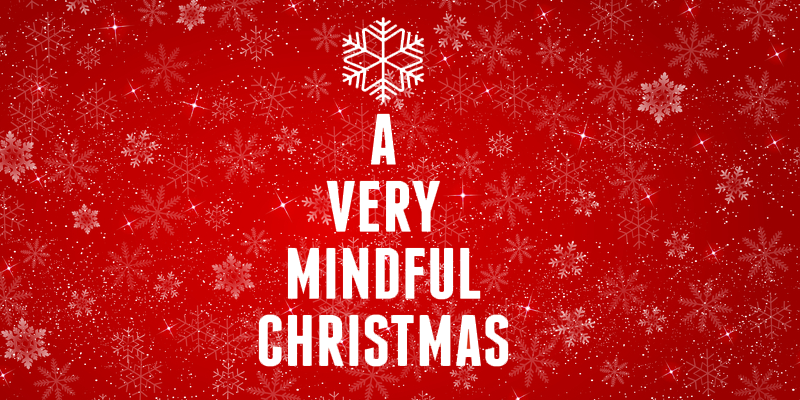 Rohan’s ebook short, A Very Mindful Christmas offers more simple techniques to help you stay calm, kind and stress-free during the festive period, whether spending time with family, last minute Christmas shopping or putting the turkey in the oven. Rohan's latest guide to modern mindfulness, This Is Happening, is out now. Listen to an audio extract.